How Long Does It Take for Your Estate to Be Settled? Whether you’re serving as an estate administrator or thinking about appointing a person just to serve in this role, you should be familiar with the fact that every estate is unique, and it can take various amounts of time in order to settle an estate. The more work you do in advance by hiring an experienced estate planning attorney can greatly help your loved ones, as well as the person appointed to serve in the role of personal representative. The complexity of your estate will also dictate how quickly it can be effectively settled. It does not take long to settle simple estates. However, if it’s beyond more than just a 401(k) and a house that is being given to family members, you need to be prepared by having estate planning tools and strategies like a living trust. 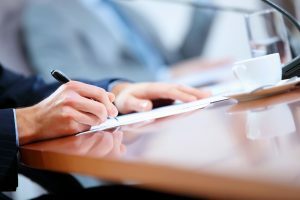 The first steps involved in probate administration are to get the will admitted as the last will of the decedent and having the executor personal representative be appointed by the surrogate. This usually does not require an appearance in front of a judge so long as the original will has been submitted, is shown to be valid and there are no disputes like a will contest. The proposed executor will then visit the county surrogate’s office and prepare the necessary paperwork. These usually are ready in less than a week. However, there can be complicating factors if it is difficult for the executor to gather the necessary materials. Some assets will not be processed through the probate process to begin with, such as retirement accounts and life insurance policies. This is because beneficiary forms are used by these individual companies for the person to fill out and have passed on directly to the beneficiaries. However, other assets need to be included in an inventory and also processed in relationship to claims that have to do with creditors or taxes. The estate administrator has to process all of this material before the assets can be distributed to the relevant beneficiaries of the estate. If you have questions about the process of probate administration and how estate planning tools and strategies such as living trusts can be used to help keep many of your assets outside of probate, you need the support of an experienced estate planning lawyer from beginning to end.